BUY TICKETS for 3 p.m.
BUY TICKETS for 8 p.m. 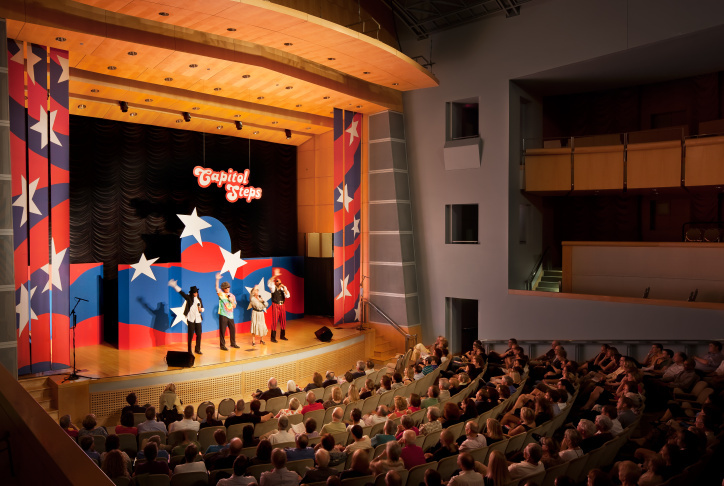 The Capitol Steps began in 1981 as a group of Senate staffers satirizing their employers, and the hilarious crew has been elevating political satire to an art form ever since. Before The Daily Show, Full Frontal, and The Colbert Report, this Washington, D.C.-based comedy troupe gave audience laugh cramps with their bipartisan lampooning. Join KPCC In Person on May 4, when the troupe brings the latest edition of their musical and political comedy show to Pasadena. Choose from afternoon or evening performances co-presented with Caltech at Beckman Auditorium. If you've been keeping with the news, you know there's no shortage of material. This event may not be suitable for all ages. Parental discretion is advised. Please e-mail events@kpcc.org if you have any questions.